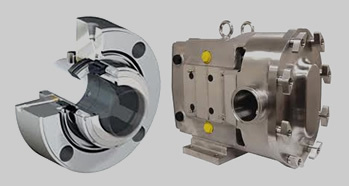 Pump South is a leading pump and mechanical seal distributor offering pump and seal sales, parts and repair service for Ampco pumps, Flowserve mechanical seals, Goulds, LobePro, Pioneer, Magnatex pumps, ANSI, Versamatic, Xylem, Gusher, Micropump, MTH, CAT pumps, Pitbull, MPumps, and Mag-drive pumps. Pump South, Inc. is a pump and mechanical seal distributor offering sales, parts and service to NC, SC, and GA. Located in Fountain Inn, SC, we are known for our pump expertise, application understanding, knowledge of mechanical sealing technologies, and stocking philosophy. Operating from a 2,790 sq ft office and a 5,551 sq ft. stocked warehouse, we have a substantial customer base in the area and are continuing to grow. Pump South, Inc. was formed and incorporated in 1997, with the singular goal of providing customers with quality parts, pumps, and service at a competitive price from local inventory. 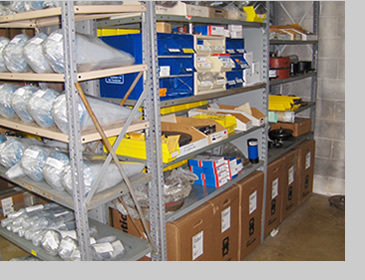 As other companies reduced inventory levels in the region, we saw the need locally for a stocking distributor of pumps, pump parts, and mechanical seals. Through hard work and the addition of key sales people and other employees over the years, Pump South, Inc. now represents over 15 pump lines and has approximately $1 million in new inventory. Pump South has consistently received awards for sales achievements from various vendors, such as Top 10 Net Sales Worldwide for Versa-Matic AOD Pumps/Parts, Top 10 in Growth Percentage for Flowserve Sealing Technologies, and others. This model has served us well and will continue to be our focus for years to come. Over the past several years, Pump South has worked hard at improving its repair and overhaul capabilities. We are now equipped with a jib crane, enhanced compressed air capabilities, on site sandblast cabinet, air test jigs, and a full time mechanic. We can handle many overhauls, break downs, and repairs on multiple size pumps and agitator/reactor seals at our location. Don’t send your pump/seal to some unknown factory location, only to wait weeks for a response. 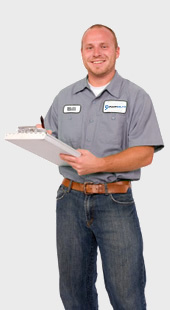 At Pump South, we will break your pump down, analyze the possible failure point, quote repair pricing, and handle the entire repair directly from Fountain Inn. We can also do some mechanical seal repairs on site, in emergency situations. We may not be able to do every repair in our shop, but the repairs we do will be fast, reliable, and first quality. Interchange with Fristam, Waukesha, Alfa Laval, & Wright. We stock ZP1 pumps 18, 30, 60, & 130 directly interchange w/ the Waukesha U1 pumps and Wright TRA10. We carry stock on the Five-Star series, ISC, ISC2, mx-201 mixer seals, VRA, MW-200, and many BRO components. We stock mixer seals for various mixers ranging in shaft size from 1.50” to 5.50”. We stock NPE, NPO, SSH, pumps and keep parts for them and the SSV and ESV. Handling industrial/municipal sludge, wastewater, and excellent for solids, abrasives and viscous fluids. Self-priming pumps. We keep a 3” and 4” pump on the shelf. We stock a 3”, 4” and 6” rotating assembly. We keep all of the parts including shafts, bearings, flappers, wear plates, impellers, seal plates, mechanical seals, o-rings, and gaskets. We are in the top 5 of distributors in the nation. We keep pump sizes in all materials ranging from Aluminum, cast iron, stainless steel, polypropylene, and kynar. We also rep Gusher pumps, Micropump, Spirax Sarco, MTH pumps, CAT pumps and Pitbull pumps, MPumps and a complete line of Mag-drive pumps.